The Beattie Passive TCosy™ process results in minimal disruption for the resident. The system is easily constructed whilst the resident stays in their home for the duration of the project. Minimal disturbance when windows and doors are changed and the MVHR is incorporated. 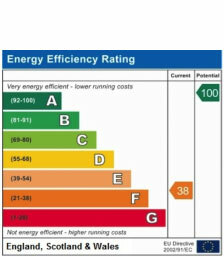 The innovative Beattie Passive TCosy™ can easily and cost effectively improve the EPC level of your property. Drafty rooms in winter? Hot rooms in summer? Retrofitting your home will increase the comfort of your entire home by addressing thermal bridges and poor insulation. Retrofitting existing homes to Beattie Passive standard reduces deaths and illnesses related to cold homes. Installing MVHR within the TCosy™ frame improves health through enhanced ventilation and dramatically reduces the impact of Radon. Our design team will incorporate any house design, shape or style of architectural drawings into our 3D modelling system and deliver a custom made package incorporating all the key Passivhaus values of our TCosy™ system to you. Our method of construction offers an easy to assemble frame-link retrofit system. Due to the simplicity of the retrofit system it can be built by semi-skilled labour. Beattie Passive are passionate about developing skills in the industry and regularly work with colleges and skills development centres. Adding MVHR and quality windows to a Beattie Passive Retrofit structure reduces your heating requirements by up to 75%. The reduction of heating requirements helps lift people out of fuel poverty. The simplicity of the TCosy™ system allows for fast on-site erection. Beattie Passive TCosy™ is designed to be locally manufactured at any location using readily available materials and therefore does not have an extended lead-in time for procurement as a factory manufactured system. The use of our bespoke 3D modelling design allows all materials to be measured to within a 1mm, which greatly reduces on-site waste as well as over-ordering of materials. All materials used are from a fully certified supply chain. All structural joints open to inspection. Only one inspection to see all structural joints and fixing on completion of structural build. Will not pass independent thermal and air tightness unless Retrofit is properly constructed and insulated. Building control officers can study 3D drawings before arrival on site. We inspect and independently performance test every Beattie Passive TCosy™ to ensure the highest standards of construction are maintained. We carry out stringent air tightness and thermal continuity imaging following structural completion and only upon reaching the design standard, will we issue a quality assurance certificate. We test at the right time, every time. "In terms of energy efficiency and living environment, many homes are no longer fit for purpose and look tired but remain occupied. TCosy is more cost effective and quicker than a re-build, avoiding the temporary re-location of residents. The updated contemporary look lifts and enhances the local environment."